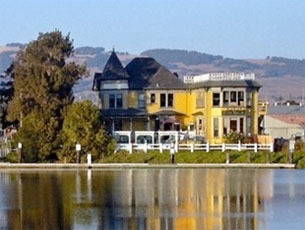 DIRECTIONS: My office is in the River House, a large, beige Victorian house on the east side of the Petaluma River. It is easiest to access my office from "D" street, where you will be able to turn right or left onto Weller. I'm on the first floor, and there is a sitting area in the hall, right outside my office door.